There are hundreds of online tools that you can access for free or low-cost that will help you to improve your online business. Be it through website plug ins, social media options or e-mail marketing strategies, it seems these days that every seminar we go to, every person we speak to has a list of “you must have these tools”; however, when it comes down to it, in truth there is only one tool that you absolutely must have to help you improve your online business and your website’s success if nothing else. It is analytics. Measuring and monitoring your analytics is a vital part of any business not just online but offline also. When it comes to online applications there are many, but I choose and recommend Google Analytics. Here’s a short list of five different things that you must understand in order to get the most out of Google Analytics. Before you begin however, it is important that you set up your goals and link your account with Google Webmaster Tools and Google Adwords (if you’re using PC). Once these things are done, you’re ready to get started. Number one, you must understand where your traffic comes from. Does it come through social media? Which network? Is it from a search engine? Which search engine? Maybe it’s referral traffic… iIf so, is it a private website or a public directory? 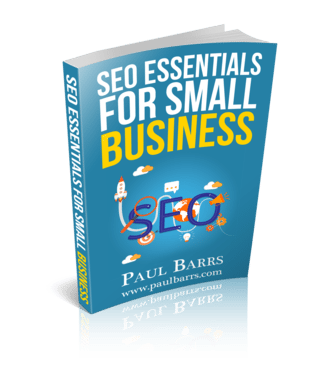 Once you know where is your traffic is coming from you can begin to dig a little deeper. Look at where it came from in terms of which page or which ad or which link. The further you can dig down into understanding where your traffic comes from, the closer you come to getting a higher return on investment for your time or money spent. For example, let’s say you’re getting a considerable amount of traffic from a particular website directory, but you find your conversions on that traffic is low. So you’d go and look at that link (perhaps an ad in a directory) and you find that it’s perhaps in the wrong category, therefore it’s attracting the wrong kind of traffic. Or you find your ad is too general and therefore it’s attracting the wrong kind of traffic. Any advertisements or links or listings that you have (and I’m including your meta-title and meta-description as it appears in search engines here), any listings that you have out there on the world wide web must accurately portray who you are and what you do so as to attract the right kind of customer. Too many people these days get excited by lots of traffic. Lots of traffic isn’t impressive. Lots of customers are. The second thing you must understand is where your traffic goes. By this I’m referring to what content they view on your website? What pages, what blog posts? Do you have featured articles that cover rich, in-depth content on particular topics? Do you have numerous blog posts across a wide range of categories? Do you have a good archival system? 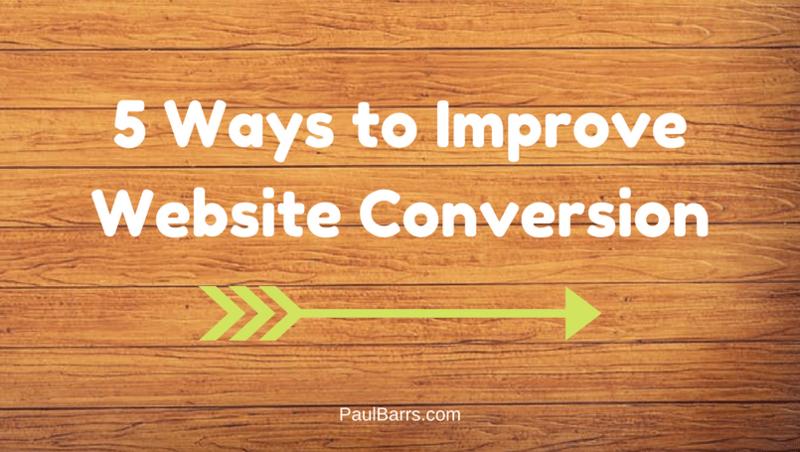 Do you have conversion pages? Do you ask people to perform an action, a CTA, a call to action at the end of your primary pages? These are good things to know from a conversion point of view. Let’s say you’re getting lots of traffic and you find they’re going to particular pages but these pages are poorly written. These pages don’t fulfill the needs of the customers, so the traffic comes, but it also goes. You need to understand these metrics. Last year I consulted to a large company in Sydney who were at the time averaging just under $100,000 a month in sales. We looked at their top performing pages by traffic and found by tweaking the sales copy and adding in a stronger call to action, we were able to increase their monthly sales to now an average of just under $250,000 a month. That’s nearly 250% growth in three months just by understanding what their traffic was doing and where that traffic was going. The third thing you must understand about Google Analytics is your conversion funnel. That means looking at your pages and considering things like bounce rate, time on site (time on page), the number of pages viewed, whether your content is consumed by new visitors or returning visitors. These types of metrics help you evaluate how well your content is actually converting your browsers into buyers. If your analytics have been set up correctly with good goals and appropriate tracking then you can discover what part of the buying process may be letting you down. Imagine that you have a good content page which has a good call to action and people are landing on it and then bouncing straight back out again, it’s a good indication that the content isn’t suitable or the traffic isn’t suitable; one or the other. By understanding your conversion funnel you can go back to your traffic sources or you can go back to your content to find where the problem is. If you’ve set your goals up correctly it will show you step one, step two, step three. For example; let’s say you have a good content-based page. It talks about a topic which is of high interest to your customers. When people land on that page it can trigger the start of a conversion goal; you want them to contact you (that’s what your goal is). So the read about the topic, they read about your services, and then it clicks through to a contact or registration form (the call to action). That’s the second step in the goal, making it to the form. But the goal isn’t complete unless they get through the other end and actually submit that form giving you their contact details. That’s goal achieved. The conversion funnel in that three-step simple example when you understand it will allow you to see how many people came to the first page and then left and how many continued. Then, how many people came to the second page and left and how many continued. THEN, how many actually made it through (submitting the form) and complete the goal. The analytics conversion funnel will give you both conversion metrics as well as abandonment metrics (those who started the goal but didn’t complete it). Google Analytics when set up correctly will not only show you that they left but also where they went! Don’t you think that would be a good thing to know? You must understand your conversion funnel. Fourthly, it’s important that you understand how to improve your return on investment, and by this I’m talking about your investment of time OR money. Everything is a balance. If we have the time but not the money, we must learn to do these things ourselves. If we have the money and don’t want to invest the time we can get others to do it. Sometimes it’s a little of both. But when you look at the time or money you spend on your site as a ratio compared to our conversions (by analyzing our funnel and looking at where our traffic goes and where it comes from) we can measure we can also look to improve thing by smaller more measureable changes… changing a title, changing and image, changing the colour of a form submission button. If you’re content is good and your traffic is good, these are the things that need testing next- and one by one, the number will show us what works and what doesn’t. For example, look at the first page in your conversion funnel and ask yourself, “How can I improve the numbers (the conversions)?” Maybe it will be a change of title (or the colour of the title), maybe a change in the images will make the difference. Maybe you can make the text easier to read; may eb you can try less of more. The important thing to remember is that you must only do these things ONE-AT-A-TIME so that you can test and measure what’s working and what’s not. If you do this using the Google Analytics Content Experiments (their version of A-B split testing) you can improve on your results step by step because you understand the numbers. That’s vitally important. Lastly, you must understand your conversion rights and their source of conversion. This brings together everything we’ve spoken about. Knowing where people come from and then where they go, and then whether or not they convert is the essential element in the success of any business. For example, at this point in time I’m running some sponsored ads through YouTube. I’m finding that YouTube is currently my second-highest referring website for traffic to my own. Nearly ten percent of all my traffic comes from YouTube. That traffic is directed to a specific page asking them to subscribe and download a special report so I can have their name and e-mail address to follow up for future opportunities. When I first started doing this I found that my conversions on my videos were reasonable (the click through rate). But my conversions on my landing page were very average. What did I do? I began rewriting the sales copy, one element at a time. Using Google Analytics I am able to understand how much I spend, and what that equals in return. At this point in time, each customer, each contact is costing me around $3.50, which is great for me for a $300 training program, but if I were selling a $5.00 product, that wouldn’t so wonderful. Google Analytics helps me measure every metric that I need to make better decisions with my online investments (time OR money). It can link in with my Adwords spend, and same again with any metrics for time that I might spend on social media. It’s vital that I understand what return I get for what I spend. It’s vital that you understand this too.